9th January 2019, Bangalore: Subex, a leading telecom analytics solution provider, today announced the launch of a new brand, CrunchMetrics, an advanced anomaly detection system designed to help organizations discover business opportunities and mitigate risks in real-time. It leverages the combined power of statistics, Artificial Intelligence (AI) and Machine Learning (ML) to sift through data and identify anomalies that are a representation of business impact. CrunchMetrics is vertical agnostic and has a wide range of use cases for Telecom, Retail and FinTech verticals at launch. CrunchMetrics is a division of Subex Digital LLP, a wholly owned subsidiary of Subex Limited. Rapid digitalization across industries today has led to a massive explosion of data volumes where years’ worth of data in the last decade is now being generated in the matter of a few hours. While organizations are doing reasonably well to capture and store this data, the mechanisms to truly make use of such huge volumes of data are unable to match the current volumes and velocity of data being generated. Due to this challenge, organisations fall short of responding to significant changes which can improve business critical functions. Addressing this gap, CrunchMetrics brings to the table real-time anomaly detection helping organizations find the ‘needle in the haystack’, thereby facilitating low latency decision making. Through the launch of CrunchMetrics, Subex aims to address a huge market that is expected to reach USD 4.5 Billion by 2022 and will to cater to a variety of verticals. CrunchMetrics is a completely automated solution that enables organizations to identify business incidents that are otherwise hard to detect. Through self-learning algorithms, it evolves continuously basis insights acquired from the latest incidents. Some of the benefits include focused attention on incidents that matter, reduction in decision-making latency, ability to uncover new opportunities, and diminishing losses due to hidden trends. “CrunchMetrics adopts new-age technologies such as AI and ML to interpret data, making it a flexible channel that organizations can leverage to make business decisions in a timely manner. Further, it seamlessly integrates with existing systems through simple mechanisms such as web-services or Application Programming Interface (APIs) enabling organizations to uncover new opportunities that can further be leveraged by them,” said Shankar Roddam, Chief Operating Officer, Subex. Founded in 1992, Subex has spent over 25 years in enabling 3/4th of the largest 50 CSPs globally achieve competitive advantage. By leveraging data which is gathered across networks, customers, and systems coupled with its domain knowledge and the capabilities of its core solutions, Subex helps CSPs to drive new business models, enhance customer experience and optimize enterprises. Bangalore, India – Subex Ltd, a leading global provider of Business and Operations Support Systems (B/OSS) for Communications Service Providers (CSPs), has announced the launch of a new version of the industry leading Partner Settlement solution, ROC Partner Settlement 10.1. ROC Partner Settlement 10.1 brings with it an all new GUI built for better usability and greater workflow efficiency. The solution focuses on purposeful personalization, with an intuitive web client, built for tailored user experience. Intelligent and configurable alerts are now a part of the solution, which enables CSPs to proactively monitor the health of their business. ROC Partner Settlement 10.1 also provides an integrated business health snapshot facilitating business leaders to make important business decisions after analyzing the business impact of volatile rate changes, contract changes and traffic analysis. The solution is now a part of the ROC 3.0 platform which is an integrated suite of products that provides capabilities going beyond traditional Partner Settlement and brings in numerous capabilities to optimize business processes and grow margins. Along with the above features and functionalities, the Android and iOS applications of ROC Partner Settlement 10.1 enable on-the-go alerting and decisioning, supported by clean and simple MIS charts and streamlined intra-operational communications options. “ROC Partner Settlement allows service providers the freedom to experiment with new next-gen service offerings, without having to worry about the scalability of their billing function. It is a comprehensive solution that enables operators to model and analyze complex multi-partner revenue share contracts and assess the profitability before the actual contract is put into place. In the new version, we have focused on delivering an intuitive, workflow driven GUI that is crafted to meet your needs. This means, what you view on the application is what is exactly relevant to you and this is supplemented by an intelligent alert framework that allows you to define parameters that constitute a problem for you. In addition, we have also been able to further bring down the TCO with numerous architectural enhancements and optimizations. ROC Partner Settlement is truly a solution that can help operators improve profitability with streamlined partnerships.” said Ashwin Chalapathy: Global Head – Portfolio Management, Managed Services & Consulting. The company pioneered the concept of a Revenue Operations Center (ROC®) – a centralized approach that sustains profitable growth and financial health through coordinated operational control. Subex’s product portfolio powers the ROC and its best-in-class solutions such as revenue assurance, fraud management, asset assurance, capacity management, data integrity management, credit risk management, cost management, route optimization and partner settlement. Subex also offers a scalable Managed Services program with 30+ customers. Subex has been awarded the Global Market Share Leader in Financial Assurance 2012 by Frost & Sullivan and has been the winner of Carriers World Awards 2015 for Best Security/Fraud solution, Telecoms Award 2015 for Advances in B/OSS, Pipeline Innovation Award 2013 in Business Intelligence & Analytics; Capacity Magazine Best Product/ Service 2013. Subex has continued to innovate with customers and have been jointly awarded the Global Telecoms Business Innovation Award in 2015 with Mobily; in 2014 with Telstra Global; in 2012 with Idea Cellular for Managed Services and in 2011 with Swisscom for Fraud Management. Subex’s customers include 39 of top 50 telecom operators* and 7 of the world’s 10 largest# telecom companies worldwide. The company has more than 300 installations across 70 countries. Bangalore, India – Subex Ltd, a leading global provider of Business and Operations Support Systems (B/OSS) for Communications Service Providers (CSPs), has announced the launch of a new version of their one-of-its-kind Asset Lifecycle Management solution, ROC Asset Assurance 2.2. ROC Asset Assurance solution has pioneered the concept of a CAPEX control framework which provides the operators with the required instruments, processes, controls, analytics based insights, dashboards and reports to address all of the issues around asset lifecycle management. ROC Asset Assurance has now added capabilities like a centralized repository for active, passive and non-serialized network assets with information relevant to the finance, supply chain and network operations teams. It has smart procurement analytics for CAPEX optimization. It also identifies stranded, unutilized and underutilized assets by aligning financial and network sources and applying analytical techniques on the data. The solution has also now productized the best practices in business processes in the form of workflows to effectively manage assets during the various stages in the life cycle of assets. This makes it a complete asset lifecycle solution. In addition to the above features and functionalities, the Android and iOS applications of ROC Asset Assurance enables on-the-go business optimization by allowing field operators to access data and tasks, take decisions and close work orders on-the-go. ROC Asset Assurance is now a part of the ROC 3.0 platform which is an integrated solution suite that facilitate seamless cross-functional collaboration for enhanced value delivery. “Our objectives while building the version upgrade were multi-fold. With the growing need of transformation from legacy networks to Next-gen networks, CAPEX optimization has become a growing concern for Telecom industry. The new version of ROC Asset Assurance enables operators to optimize CAPEX with an end-to-end Asset Lifecycle Management solution. ROC Asset Assurance is one-of-its-kind solution which gives network stakeholders tremendous power to attain data-driven decisions, and finance stakeholders’ robust analytics to drive CAPEX Optimisation.” Said Ashwin Chalapathy: Global Head – Portfolio Management, Managed Services & Consulting. Bangalore, India – Subex Ltd, a leading global provider of Business and Operations Support Systems (B/OSS) for Communications Service Providers (CSPs), has announced the launch of a new version of the industry leading Fraud Management solution, ROC Fraud Management 8.3. ROC Fraud Management 8.3 brings with it Online Statistical Rules that adds an additional layer of detection capability to the existing memory and statistical rule engines – to facilitate enhanced real-time detection of complex fraud types. The solution also consolidates its array of 4G/LTE detection capabilities/packs that enable operators to stay ahead of fraudsters in a 4G environment. The solution is now a part of the ROC 3.0 platform which is an integrated suite of products that provides capabilities going beyond traditional fraud detection & prevention and brings in numerous capabilities to optimize business processes and grow margins. ROC Fraud Management is optimized for Big Data and efficiently handles huge amounts of data – to cater for exponential growth in transactions in 4G/LTE and data/IP product areas. Coupled with other architectural enhancements, ROC Fraud Management is now seeing 10X increase in performance over previous versions and enabling load handling of billions of xDRs per day. Alongside the new version of ROC Fraud Management, Subex also introduces the Fraud Manager’s Toolkit (FMT) which is a set of tools designed to provide enhanced operational intelligence & best practice measurement metrics to support fast decision making for fraud operations managers. In addition to the above features and functionalities, the Android and iOS applications of ROC Fraud Management 8.3 enable on-the-go fraud alerting and decisioning, supported by clean and simple MIS charts and streamlined intra-operational communications options. “Our objectives while building the version upgrade were multi-fold. With 4G deployments further complicating fraud risks for telecom operators, the obvious need for rapid fraud detection had to be addressed effectively. The new version of ROC Fraud Management enables operators to drastically reduce fraud-run time with its advanced fraud detection capabilities. We have always envisioned ROC Fraud Management as not just a tool to detect and prevent frauds, but also as a guide to point analysts in the right direction through powerful insights and useful metrics – and the Fraud Manager’s Toolkit does just that. Our aim was to package as much value as possible into this upgrade and at the same time bring down the Total Cost of Ownership (TCO), and we are very happy to announce that we’ve successfully achieved this.” said Ashwin Chalapathy: Global Head – Portfolio Management, Managed Services & Consulting. The company pioneered the concept of a Revenue Operations Center (ROC®) – a centralized approach that sustains profitable growth and financial health through coordinated operational control. Subex’s product portfolio powers the ROC and its best-in-class solutions such as revenue assurance, fraud management, asset assurance, capacity management, data integrity management, credit risk management, cost management, route optimization and partner settlement. Subex also offers a scalable Managed Services program with 30 + customers. Subex has been awarded the Global Market Share Leader in Financial Assurance 2012 by Frost & Sullivan and has been the winner of Pipeline Innovation Award 2013 in Business Intelligence & Analytics; Capacity Magazine Best Product/ Service 2013. Subex has continued to innovate with customers and have been jointly awarded the Global Telecoms Business Innovation Award in 2015 with Mobily; in 2014 with Telstra Global; in 2012 with Idea Cellular for Managed Services and in 2011 with Swisscom for Fraud Management. Subex’s customers include 29 of top 50 operators* and 33 of the world’s 50 biggest# telecommunications service providers worldwide. The company has more than 300 installations across 70 countries. Bangalore, India – Subex Ltd, a leading global provider of Business and Operations Support Systems (B/OSS) for Communications Service Providers (CSPs), has announced the launch of a new version of the industry leading revenue assurance solution, ROC Revenue Assurance 5.3. The new version of ROC Revenue Assurance brings with it numerous enhancements on both visual and performance fronts. In addition to this, the new version is built to reduce the Total Cost of Ownership (TCO) considerably through multiple optimizations. ROC Revenue Assurance 5.3 is now part of the ROC 3.0 platform which is an integrated suite of products that provides capabilities going far beyond just detecting revenue leakages and brings in multiple other capabilities to optimize business processes and grow margins. The new version of the solution is also equipped with Dynamic Network Analytics (DNA), which is a first-of-its-kind auto-configuration solution that offers rapid deployment by providing predefined libraries & controls for assorted technologies. DNA helps in cutting down the deployment time considerably and in-turn results in faster returns. The Graphical User Interface (GUI) of the solution has undergone a complete revamp and is built to be intuitive and enhance ease of use. It is in-line with the latest design standards and is driven by the motive to enrich user experience while drastically improving workflow efficiency. Existing features like RevenuePad and Zen which were unique to ROC Revenue Assurance have now been further enhanced and can result in further increase in productivity. The solution is also Big Data optimized that makes it fully capable of efficiently handling enormous amounts of data in actual operational environment. Architectural enhancements have also resulted in 10X increase in performance over the previous version and enables load handling of billions of xDRs per day. ROC Revenue Assurance 5.3 is also available on Android and iOS as full-fledged mobile applications facilitating extensive collaboration through SMS, emails, chat, calling and active notifications. With easy access to dashboards, case management and system monitoring, it is the most comprehensive mobile application available for telecom revenue assurance. “With the advent of 4G/LTE, operators are moving deeper into next-generation services and content-driven service environments; revenue assurance is getting both more complex and critical. Traditional revenue assurance tools and methods fall short in handling complex services and business models. A lot of strategic thought has gone behind the version upgrade to help operators make the most out of the solution. While feature enhancement was one of the top priorities, lowering TCO was equally important and with ROC Revenue Assurance 5.3 we have been able to successfully achieve both to deliver rapid ROI” said Ashwin Chalapathy: Global Head – Portfolio Management, Managed Services & Consulting. Subex has been awarded the Global Market Share Leader in Financial Assurance 2012 by Frost & Sullivan and has been the winner of Pipeline Innovation Award 2013 in Business Intelligence & Analytics; Capacity Magazine Best Product/ Service 2013. Subex has continued to innovate with customers and have been jointly awarded the Global Telecoms Business Innovation Award 2015 along with Mobily, in 2014 with Telstra Global; in 2012 with Idea Cellular for Managed Services and in 2011 with Swisscom for Fraud Management.Subex’s customers include 29 of top 50 operators* and 33 of the world’s 50 biggest# telecommunications service providers worldwide. The company has more than 300 installations across 70 countries. London, UK – Subex Ltd, a leading global provider of Business Support Systems (BSS) for Communications Service Providers (CSPs), has announced the launch of its ROC Partner Settlement version 9.9 that addresses the growing concerns of carriers worldwide of effectively managing and maintaining partner relationship and negotiating multi-party contracts, thereby driving increased profitability. According to the recent “Wholesale Systems for Advanced Services” survey conducted by Technology Research Institute (TRI), Global Settlements Carrier Group (GSC) and Subex, in today’s dynamic telecoms marketplace the boundaries of ‘wholesale’ have gone from rigid to permeable. It’s no longer just about buying & selling of traditional voice traffic. With the advent of new services utilizing 3G & 4G/ LTE network capabilities, IPX, IPTV, MVNO reseller services, M2M etc, Carriers today have an entirely different set of challenges with respect to handling partner settlement business process across services/business units, thus paving a way for more innovative contract services. The survey further emphasize the fact that LTE mobile services, VAS, cloud services for small & medium businesses, mobile broadband services and consumer content delivery are some of the key wholesale services that would experience high revenue growth in the coming years. Carriers who leverage these services and re-work on their wholesale business strategies are bound to stay ahead of the herd. Realizing this market need, Subex has launched version 9.9 of ROC Partner Settlement solution to manage a gamut of next generation content and data services in addition to its voice services. The upgraded version is a ‘Multi-service settlements framework’, i.e. it is functionally rich when it comes to handling voice traffic and also capable of handling multiple types of services in a converged solution. With analytics and intelligence being the key piece of this release, the solution is capable of providing wholesalers with better decision support systems as opposed to the traditional operational support systems. ROC Partner Settlement allows operators to quickly and accurately settle charges with their network and content partners. It helps operators improve efficiency through light touch and automation, accurate billing and settlement and prudent accrual provisioning. Catering to the need for visibility of each deal’s impact on an operator’s bottom line owing to shrinking margins, the solution provides strong coverage in all areas from order to cash. It enables operators to manage costs and revenues on interconnect and partner agreements with domestic and international operators as well as content partners on a day-to-day, and hour-to-hour basis. Subex Limited is a leading global provider of Business Support Systems (BSS) that empowers communications service providers (CSPs) to achieve competitive advantage through Business Optimisation – thereby enabling them to improve their operational efficiency to deliver enhanced service experiences to subscribers. The company pioneered the concept of a Revenue Operations Center (ROC®) a centralized approach that sustains profitable growth and financial health through coordinated operational control. Subex’s product portfolio powers the ROC and its best-in-class solutions such as revenue assurance, fraud management, asset assurance, capacity management, data integrity management, credit risk management, cost management, route optimization and partner settlement. Subex also offers a scalable Managed Services program and has been the market leader in Revenue Assurance and Fraud Management for 2 years in a row according to Gartner (2010 & 2011). Subex has also been enjoying market leadership in Business Optimisation for five consecutive years according to Analysys Mason (2007, 2008, 2009, 2010 & 2011). Business Optimisation includes fraud, revenue assurance, analytics, cost management and credit risk management. Subex has been awarded the Global Telecoms Business Innovation Award for 2012 along with Idea Cellular and 2011 along with Swisscom for fraud management. Subex has also been awarded the Global Market Share Leader in Financial Assurance 2012 by Frost & Sullivan. BANGALORE, INDIA – Subex Ltd, a leading global provider of Business Support Systems (BSS) for Communications Service Providers (CSPs), has announced the launch of the industry’s first solution, ROC Asset Assurance, that addresses the growing concerns of telecom operators worldwide of effectively managing and reducing capex across the lifecycle of network assets. In today’s dynamic telecoms marketplace, the network capex conundrum is becoming a serious cause for concern with an astonishing 20% of assets failing to return cost of capital. While lack of visibility in understanding asset dispositions, poor data integrity, and eroding asset contribution after purchase are some of the key reasons for this situation, the key issue has always been lack of true governance required for a repeatable, sustainable program to work effectively. Realizing this market gap, Subex has launched the ROC Asset Assurance solution to monitor, manage and optimize capital expenses throughout the asset lifecycle, which then extends beyond analytics to drive actions and changes in critical business processes that control or consume capex. The solution is built in a manner that digs deep into data quality to improve the accuracy of data sources that support capital decisions, leveraging the Network itself where possible. The company pioneered the concept of a Revenue Operations Center (ROC®) – a centralized approach that sustains profitable growth and financial health through coordinated operational control. Subex’s product portfolio powers the ROC and its best-in-class solutions such as revenue assurance, fraud management, credit risk management, cost management, route optimization, data integrity management and interconnect / inter-party settlement. Subex also offers a scalable Managed Services program and has been the market leader in Revenue Assurance and Fraud Management according to Gartner (2010 & 2011). Subex has also been enjoying market leadership in Business Optimisation for five consecutive years according to Analysys Mason (2007, 2008, 2009, 2010 & 2011). Subex has been awarded the Global Telecoms Business Innovation Award for 2011 along with Swisscom for industry’s first successful Risk Reward Share model for fraud management. Subex’s customers include 28 of top 50 operators* and 33 of the world’s 50 biggest# telecommunications service providers worldwide. The company has more than 300 installations across 70 countries. LONDON, UK – Subex Ltd, a leading global provider of Business Support Systems (B/OSS) for Communications Service Providers (CSPs), has announced that its intelligent root cause analysis engine Zen has helped operators increase their productivity by over 75%. Zen, the industry’s first virtual analyst for Revenue Assurance, is one of the two capabilities of Subex’s ROC® Revenue Assurance 5 solution, along with RevenuePad. In today’s data heavy and competitive environment, CSPs are trying harder than ever to prevent revenue leakages while minimizing costs. The most optimal way to achieve this is to address the underlying root causes for leakages in a systematic manner. However, finding root causes or even the problem areas in telecom revenue assurance is like finding a needle in a haystack. CSPs face the obstacle of sorting through heaps of data to find the root cause of problems, due to the complexity of the task and the amount of time it takes. Zen is the industry’s first solution that sifts through millions of records and narrows-in on the problem area in a matter of minutes. It is a powerful magnet that pulls out the needle from the haystack. This dramatically reduces the time to find root causes, typically from 30 hours to 30 minutes, and ideally provides a substantial boost to analyst productivity by an order of magnitude of 10-20, thereby helping CSPs recover revenues much faster. Zen also builds a repository of discrepancies and associated root causes to enable knowledge sharing. Besides increasing Analyst productivity and enabling faster revenue recovery, Zen further helps Subex’s customers by easing knowledge management. LONDON, UK – Subex Ltd, a leading global provider of business support systems (B/OSS) for Communications Service Providers (CSPs), announced that it has launched its Integrated Bypass Fraud solution. The solution has been introduced to combat the growing threat of Bypass Fraud and help CSP’s more proactively reduce fraud losses. The Subex Integrated Bypass Fraud solution seamlessly integrates the test call generator (TCG) approach with Subex’s ROC® Fraud Management solution combining the strengths and eliminating the weaknesses of each individually. The fraudulent SIM box numbers detected by the TCG are then put into the ROC FMS, which performs near real time xDR, subscriber, dealer and location analysis. Rather than targeting individual connections, this helps identify the whole Bypass racket, which is faster than traditional methods involving more manual efforts. The Fraud Management Solution also provides feedback regarding new routes and traffic quantity of existing routes to the TCG, ensuring complete coverage and elimination of bypass fraud. The Integrated Bypass Fraud solution features a single platform for identification, management and reporting of the Bypass Fraud cases along with accurate ROI identification and automatic provisioning against confirmed fraud cases. Subex also offers part of its Managed Services portfolio around this solution. This helps handle end to end investigation and management of other business operations like reporting, trend analysis and feedback over the suspicious cases identified by the integrated solution. 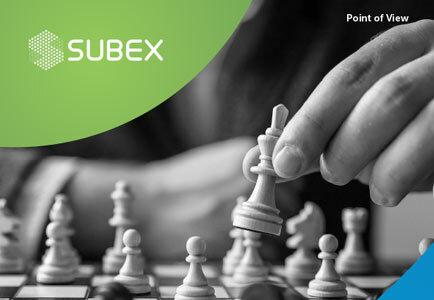 Subex Limited is a leading global provider of Business Support Systems (B/OSS) that empowers communications service providers (CSPs) to achieve competitive advantage through Business Optimisation – thereby enabling them to improve their operational efficiency to deliver enhanced service experience to subscribers. The company pioneered the concept of a Revenue Operations Center (ROC®) – a centralized approach that sustains profitable growth and financial health through coordinated operational control. Subex’s product portfolio powers the ROC and its best-in-class solutions enable revenue assurance, fraud management, data integrity management, cost management and interconnect / inter-party settlement. Subex also offers a scalable Managed Services program and has been the market leader in Business Optimisation for four consecutive years. Subex has been awarded the Global Telecoms Business Innovation Award for 2011 along with Swisscom for industry’s first successful Risk Reward Share model for fraud management. Subex’s customers include 16 of top 20 wireless operators worldwide* and 26 of the world’s 50 biggest#telecommunications service providers. The company has more than 300 installations across 70 countries. LONDON, UK – Subex Ltd, a leading global provider of Business Support Systems (B/OSS) for Communications Service Providers (CSPs), announced that it has launched version 5 of its ROC Revenue Assurance offering. This new solution from Subex will help simplify Revenue Assurance for CSPs, and introduces two industry-first capabilities in RevenuePad and Zen. Revenue Assurance is fast becoming an enterprise-wide tool and RevenuePad provides CSPs with such abilities, in addition to allowing them to grow the function through assistance in roadmap planning and maturity enhancement. It will also guide CSPs on which assurance areas and KPIs to cover to improve operational performance and advance along the maturity scale. RevenuePad will also be available as a mobile app for iPad, with apps for other mobile device platforms to follow soon. Zen is a path breaking approach to help Revenue Assurance analysts fight the data tsunami. CSPs and RA analysts are trying to find the needle in the haystack and Zen is the industry’s first solution that sifts through millions of records and zooms in on the problem area in a matter of seconds. This dramatically reduces the time to find root causes (by more than 90 %) and provides a substantial boost to analyst productivity, thereby helping CSPs recover revenues much faster. “The ROC Revenue Assurance solution along with its RevenuePad and Zen capabilities will be a one-stop shop for a CSP’s Revenue Assurance needs. Once again, Subex exhibited its thought leadership by setting a new direction for RA,” said Sudeesh Yezhuvath, Chief Operating Officer at Subex. “Additionally, the ROC Revenue Assurance 5 Solution is mobile device enabled and can be accessed by service providers anywhere anytime. This means that they will be able to gauge the Revenue Assurance health, analyze key metrics and make important decisions on the move”. The ROC Revenue Assurance 5 solution is market ready.